my name is Arne and I'm from northern Germany. My wife is a big Kelly Family and Angelo Kelly fan and I built for her with Lego bricks the motorhome, in which Angelo Kelly made his journey through Europe from 2010 till 2013. I now submitted this model to Lego IDEAS, a crowdsourcing platform that is part of the LEGO group. Now I need the help of all Kelly Family fans. 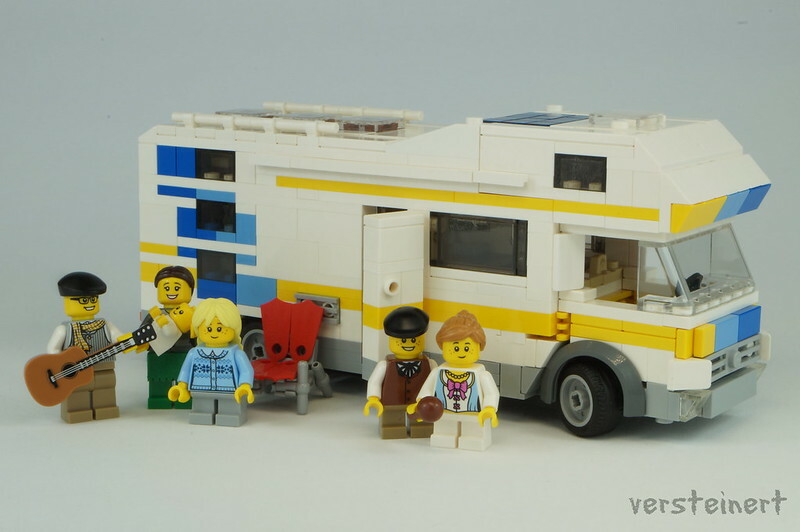 If I manage to gather enough supporters for this "product idea", then Lego will check if the model of the motorhome could become a real Lego set. The first hurdle the project has to take is 100 supporters. Then the project gets a deadline extension of one year to gather further supporters. Of course, supporting the product idea and therefor registering on Lego IDEAS is absolutely free. This is so great!!!! Our son is a huge Lego fan so are we because of him,and to combine both The Kelky Family and lego is such a great idea!!!! And it is so sweet of you to make it for your wife!!! Well done! !